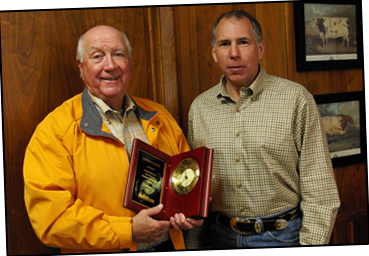 A sincere desire for support and encourage noble purposes, above and beyond the day-to-day routine of the American Shorthorn Association, resulted in the establishment of the Shorthorn Foundation in 1967. The Shorthorn Foundation is still dedicated to building the Shorthorn breed’s opportunities in the cattle business, educating cattlemen and Shorthorn youth, and promoting the benefits and advantages of using Shorthorn genetics. Through your help and support, the Shorthorn Foundation will be poised to continue these very worthy endeavors and expand the impact the Shorthorn breed and our producers can have on the beef industry. The Shorthorn Foundation is prepared to receive your charitable contribution as a 501©(3) tax deductible organization. At the end of each year, remember the cattle organization which has impacted your life and has provided educational opportunities to young people through the years and established a way of life for so many.